Winter came pretty quickly this year. It seems like we had a few fall weekends and then got blasted with a hard freeze followed by very windy conditions and a lack of consistent temperatures. When weather is this variable it tends to confuse both fish and fishermen. 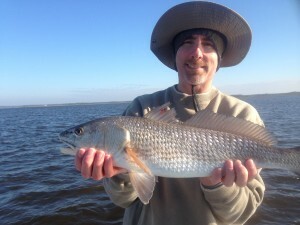 As an example, I fished one day early in the month and caught 8 redfish and a 4.5 pound trout on topwater plugs on a chilly clear morning; just three days later, in the same spot, and on the same tide, we were skunked. There were some excellent days mid-month that resulted in some great inshore and offshore catches….gag grouper, kingfish, redfish and trout with a good collection of flounder as well….but after the hard freeze things got complicated. In spite of temps in the 20’s, trout never did move into the river, which was pretty unusual. 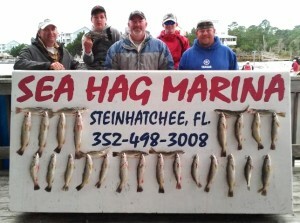 Inshore guides had to move around a lot in windy conditions, which can stir up the water and send the trout packing. In general the water remained clearer to the north of the river, but some excellent catches were made by those willing to run down to the Pepperfish keys, where the water was more hospitable. Offshore there was a consistent kingfish bite, but gags were only found in much deeper water than usual for this time of year. 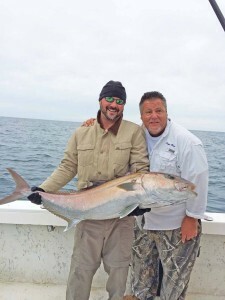 Amberjack provided some exercise, and the black seabass and Florida snapper bite was good over structure. 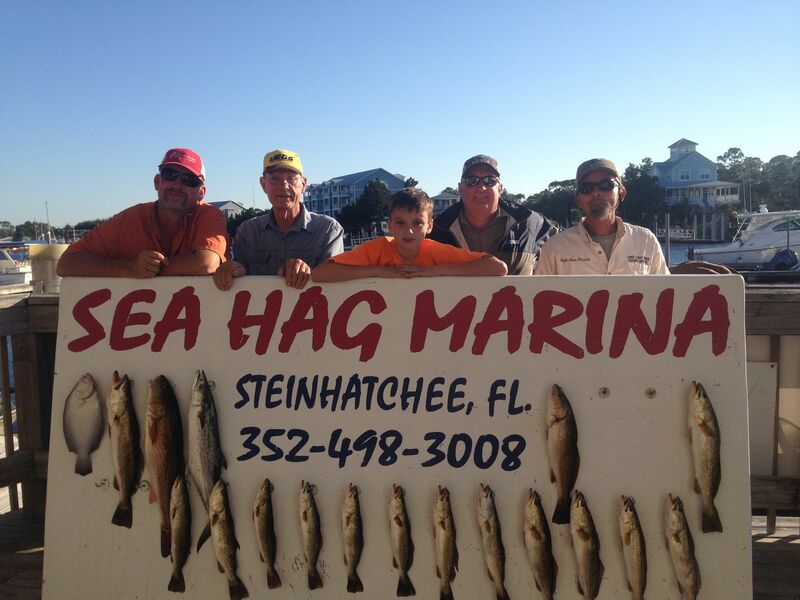 Here are some of the fine catches that came into the Sea Hag Marina this month. 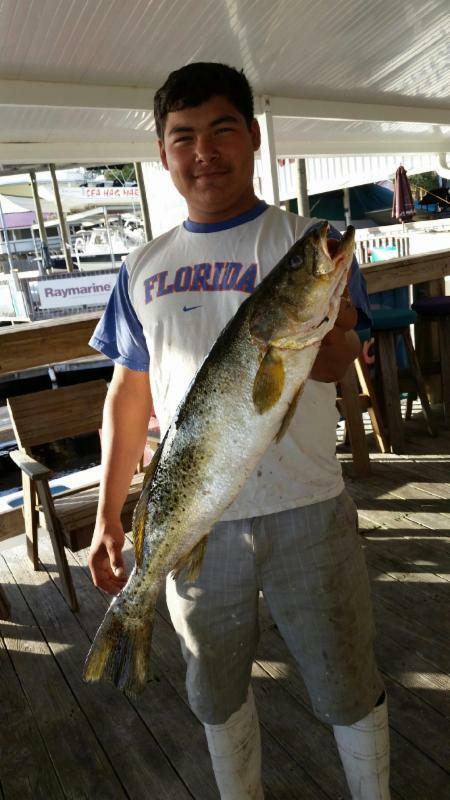 Allen Barnett found this beautiful gator trout that was attracted to his UF shirt. 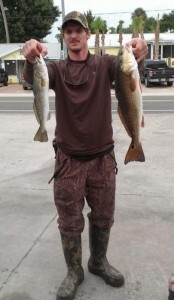 Brandon Weaver from Valdosta caught this nice trout/redfish combo. 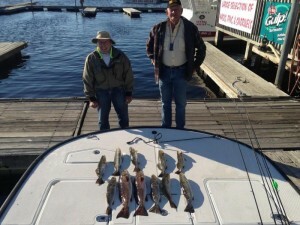 The French and Lucas families from Newnan, Georgia got their trout limits. Justin Myers with a fine bull redfish. And here’s Justin with something he could keep…a fine inshore flounder. 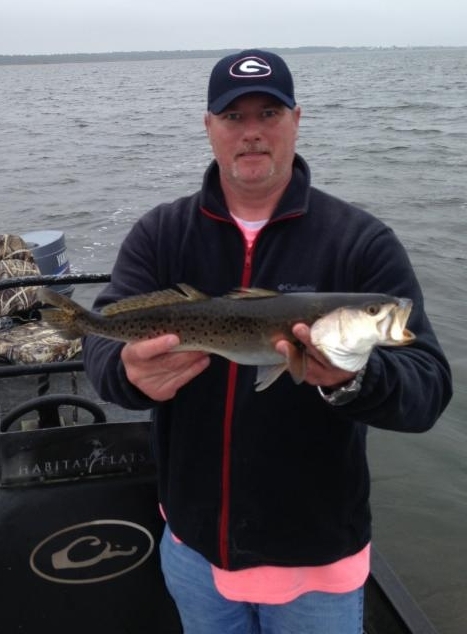 Jamie Mathis from Tifton, Ga. with one of many trout his group brought in to clean. 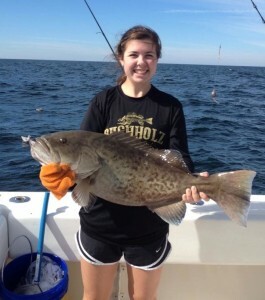 Riley Rousseau from Gainesville, Fl with a giant gag grouper. Neal Stinson from Winston-Salem, NC fished with me and found this nice redfish. 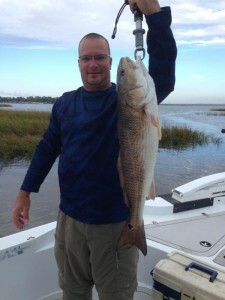 Mike Dean from Jacksonville with his fine bull redfish caught in a creek mouth. 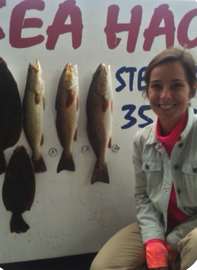 Rachel Cocciolo with a partial board of trout and flounder. Ron and Jack with some fine redfish and trout caught with one of our guides. Tracy Settees and her largest fish to date, another bull redfish. With water temperatures beginning to stabilize in the high ‘60s, things should get more consistent. I expect the trout to move into the river with the next several cold snaps. If you call the Sea Hag, you can get more up-to-date information about trout fishing in the river, which is one of the really fun times to fish in Steinhatchee. When they arrive, or if you want to be the one to find them, try trolling 52M Mirrolures or lipped crankbaits along the edges of the channel in the mornings to locate fish. 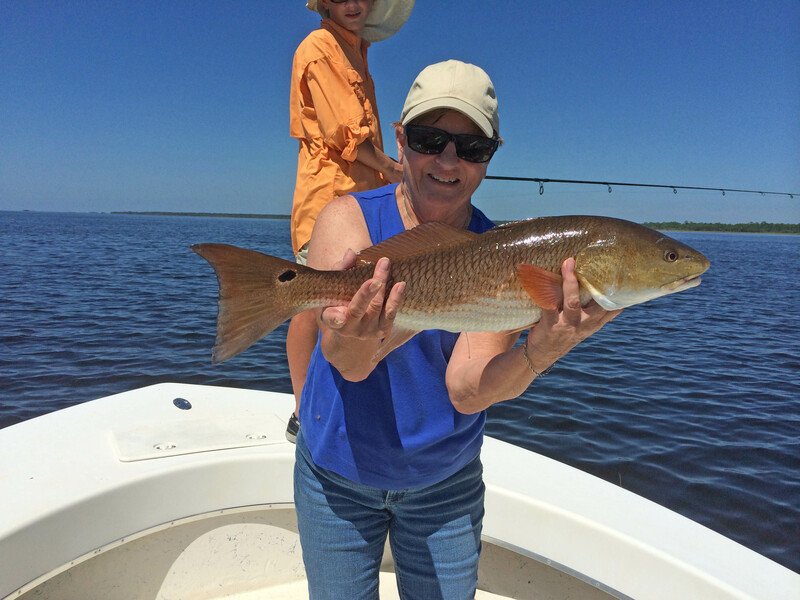 When you find them, stop and fish with live shrimp or sinking lures while drifting. When trout come into the river, they tend to school and they will move around so if you find one, stop and fish the area well. 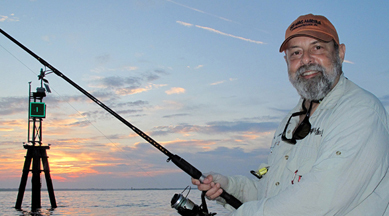 An alternative method is to set up shop near the river mouth, between markers 22 and 26, anchor just out of the channel, and cast upstream, letting your baits drift back and sink with the current. Some experts fish close to the bottom, pinning live shrimp or Gulp baits to heavier jigheads. Because the river is very rocky, expect to lose some tackle with this approach. The river gets very crowded when the trout come in, so please be thoughtful about your drift and location when anchoring near other boats, and always keep your boat out of the channel (it’s illegal to anchor in the channel, to say nothing of being dangerous). When things warm up in the afternoon, move closer to shore because fish will move onto the muddier warmer bottom closer to shore, but beware of oyster bars near the mouth of the river when you try this technique. And in truly cold weather, trout will move far upriver, well past the bridge. Some well-known spots upriver include the “croaker hole”, which you can find by looking for the power lines crossing the river at the point where the river takes a 90 degree turn to the north. And don’t forget the “suicide hole”, which is just west of the Sea Hag Marina where the river drops to over 20 feet in depth. 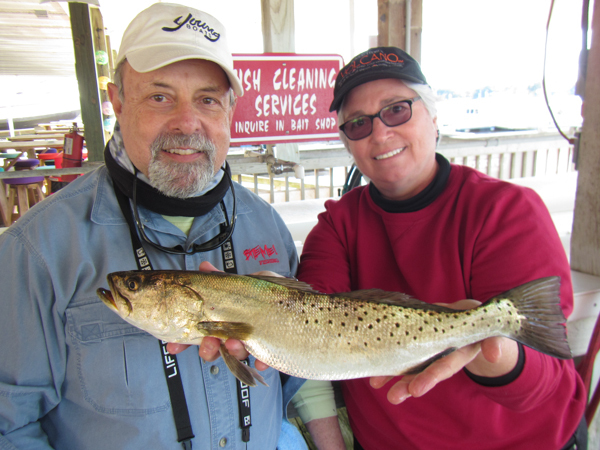 Trout are looking for the warmest water they can find, and in general the deeper the better. 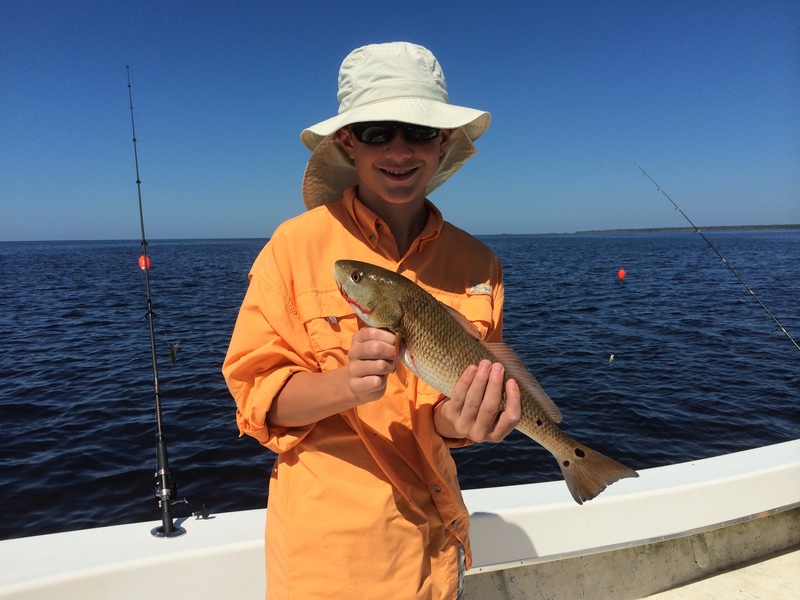 Redfish tend to get cranky and lazy when the water gets cold but you’ll be able to find them in holes in creeks and around oyster bars. Cut bait and live shrimp work best in these situations, so it requires much patience and care, given the low winter tides. 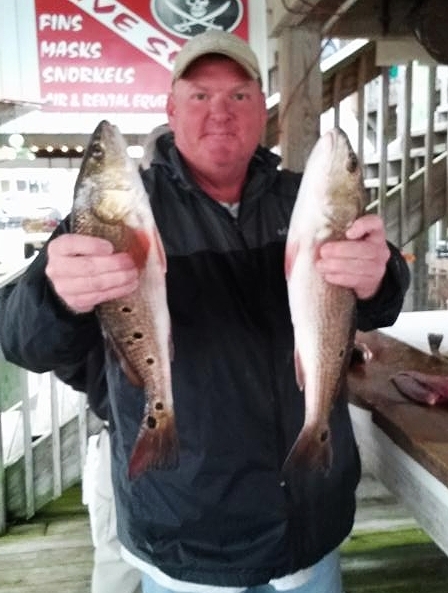 Another classic trout hole in the winter is Dallus Creek, which has several large deep holes that will be holding fish most of the winter, but again good tides and knowledge of the sand and oyster bars in the area are essential. Sand trout have finally made their appearance on some of the offshore bars near Little Bank and 9 Mile Bank. 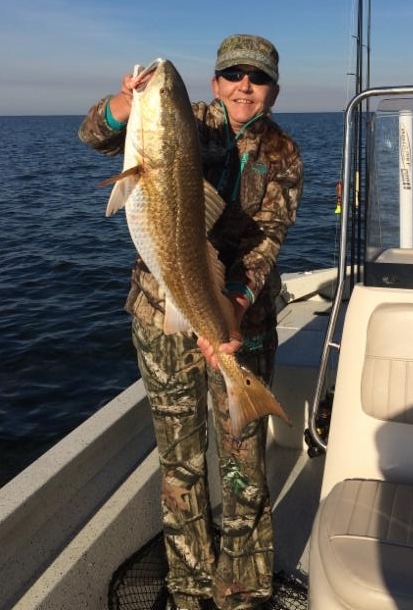 Look for changes in depth and drift across the humps in 4 to 9 feet of water, throwing jigs with Gulps or live shrimp fished close to the bottom. Sand (silver) trout can provide lots of great eating, and most of us believe they are harder fighters than their spotted cousins. 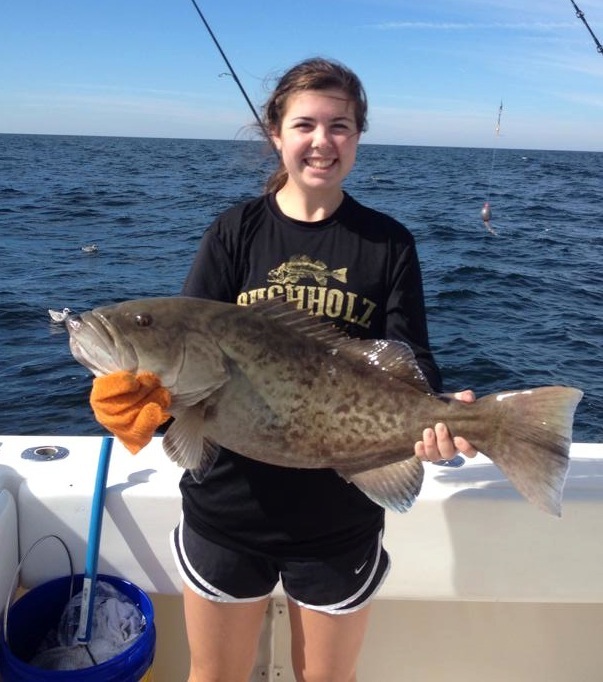 Offshore, gag grouper season closes December 4th and will open again in July in federal waters. Red grouper are still available until February and March. There are still plenty of kingfish around, and if bottom fishing for seabass or grouper, make sure you have a flatline out with a live bait to hang that smoker king wandering by. And I have even heard some reports of some early sheepshead arriving on offshore and nearshore structure, of the smaller male variety. This time of year, if fishing on structure, try fishing a lighter rig on the bottom with live shrimp or small pieces of cut bait. 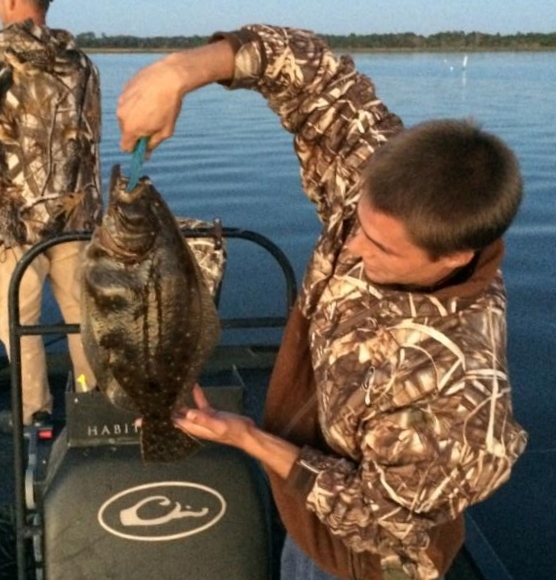 You can catch the largest flounder of the year using this technique. 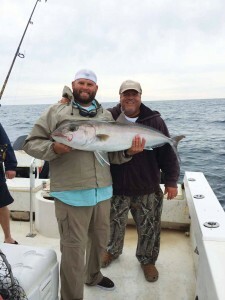 Of course, if you happen to hook a kingfish….well, you can use your imagination. 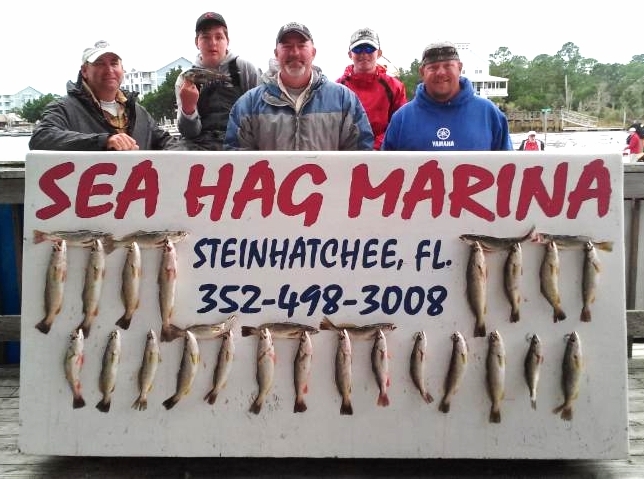 No matter what the weather, the Sea Hag Marina can provide all the tackle, dead and live bait and rods and reels you will need to fish our area. And being the offseason you can get some great rates staying in the Sea Hag cottages. Come on down, rent one of our new rental boats, and enjoy some great family time on the water. 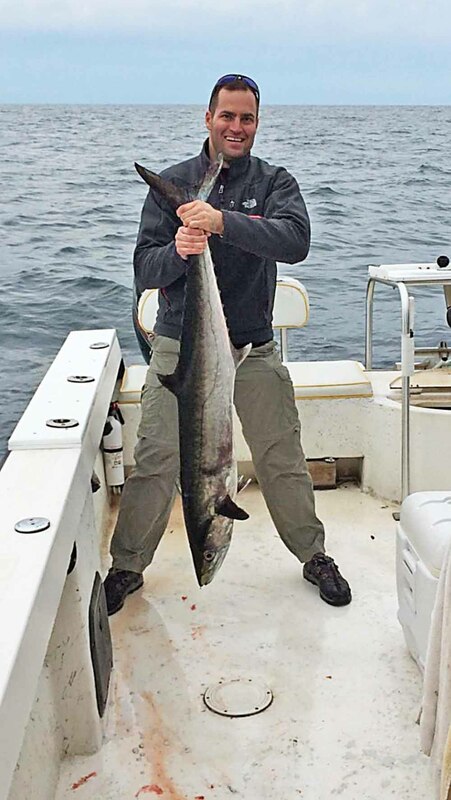 While most of our guides were busy over the holidays and didn’t get a chance to submit reports, here are some pictures and other information from some of our Sea Hag guides. 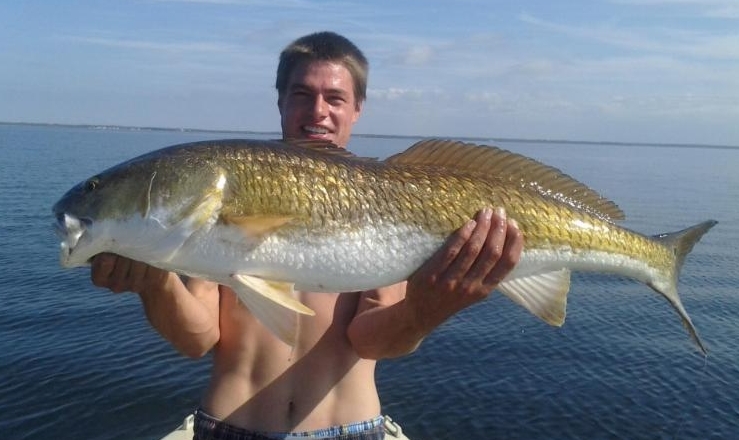 I only have a small, 18-foot inshore flats boat, but two anglers can fish comfortably. Three’s not an option, as I prefer throwing artificial lures like Heddon Spooks or MirrOlures and all those flying treble hooks can cause lots of anguish if you’re not careful! As wintertime approaches, a typical day starts with an exploration of rocky points and shorelines to the north and south of the river. There, we’ll look for (and hope to catch) big seatrout and redfish. There’s nothing like a big trout or red on a topwater plug, but there’s a good bit of the “hunt” involved, making a day aboard “Photo Opportunity” much like a spring turkey hunt. Lots of stealth, casting accuracy and patience is involved. 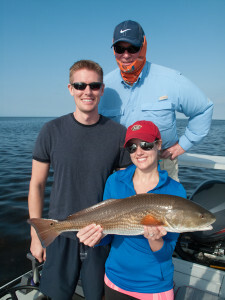 That being the case, my trips are aimed at the sportfisherman rather than someone expecting to fill a cooler with fish. In fact, many of my clients prefer “catch and release” to “fillet and fry”. 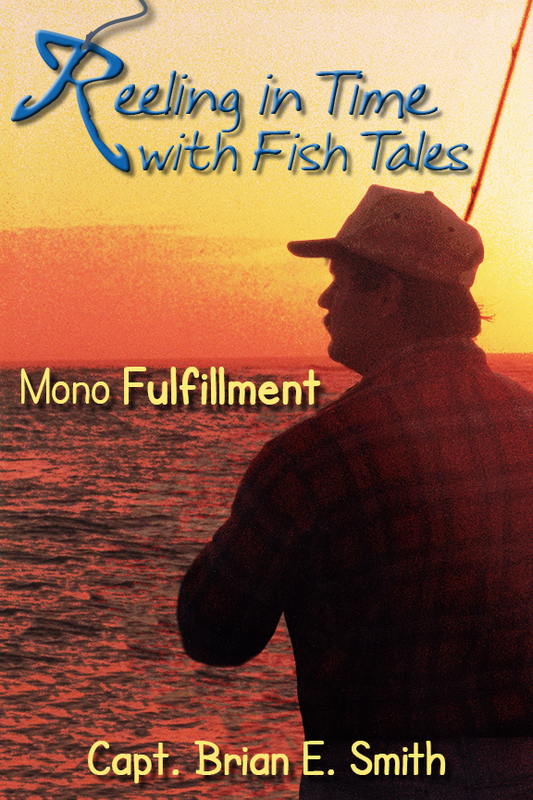 I do encourage you take a few fish home for dinner, or to take them to Fiddlers Restaurant, where they’ll cook them for you. If the weather’s frigid and there’s ice on the deck, we might hit some deep holes in the river, where nice fat trout hide out on cold days. These trout are plentiful and not necessarily trophies, so keeping a few for dinner won’t affect the overall population. However, it’s important not to be greedy and to only keep what you can eat, fresh–not frozen!